Nowadays people seem more glued to their phones than ever. While I try to minimize the time I spend glaring at my phone screen, I have found some useful apps that help me with my anxiety. Phone apps are great because you can use them on the go, so if you unexpectedly feel very anxious, you can always rely on them. The below apps are for iPhones, but I know other phones, as well as tablets, offer very similar apps. 1) Sleep App (free). This is by far my favorite app because of it’s simplicity. 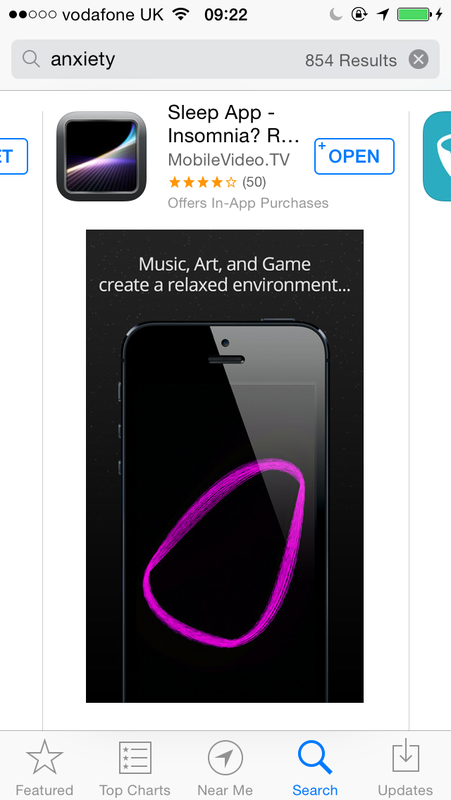 Relaxing music plays while you can move particles around the screen with your finger. I know it sounds odd, and I’m not the best at explaining it, but it always calms me down. Perfect for if you want to relax before going to sleep after a anxious day. 2) Stress & Anxiety Companion (3.99 pounds). I don’t have this app on my phone at the moment, but I have tried it on my friends phone in the past and loved it. 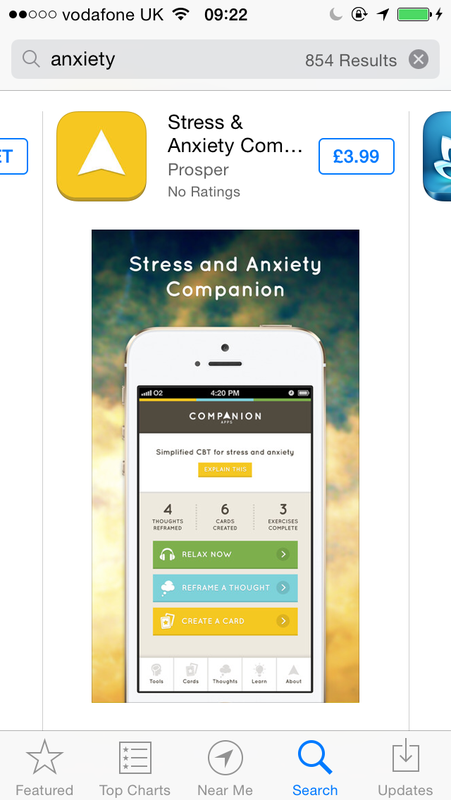 If you are willing to spend money on app to help you with your anxiety, I would definitely recommend this one. 3) Self-help for Anxiety Management (free). 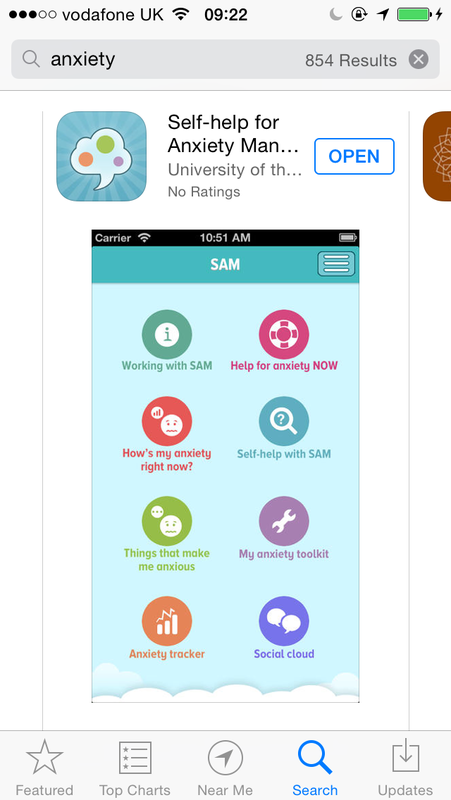 This app has lots of different features that can help you deal with your anxiety. While it is free to download, most of these features need to be activated through payment. The anxiety tracker feature is particularly useful if you want to understand your anxiety and it’s triggers better. 4) 7 Cups of Tea (free). 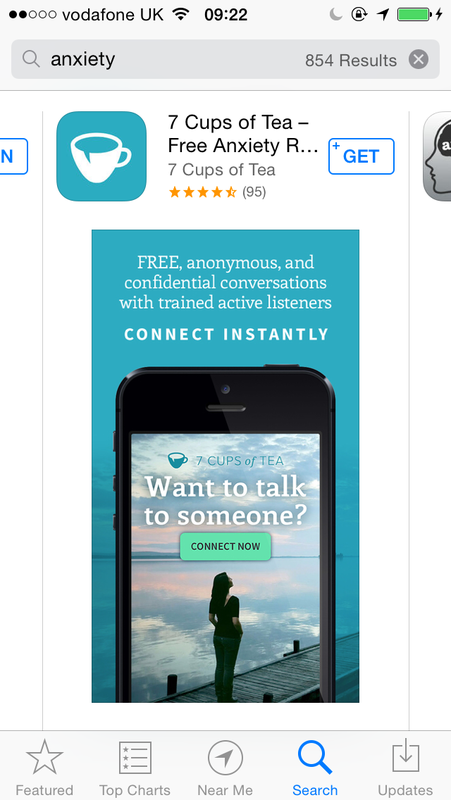 This app is great for anyone looking to talk to someone about their anxiety. It offers support in the form of conversation, and can be a real life changer. 5) Meditation Sounds and Ambient Music (0.79 pounds). 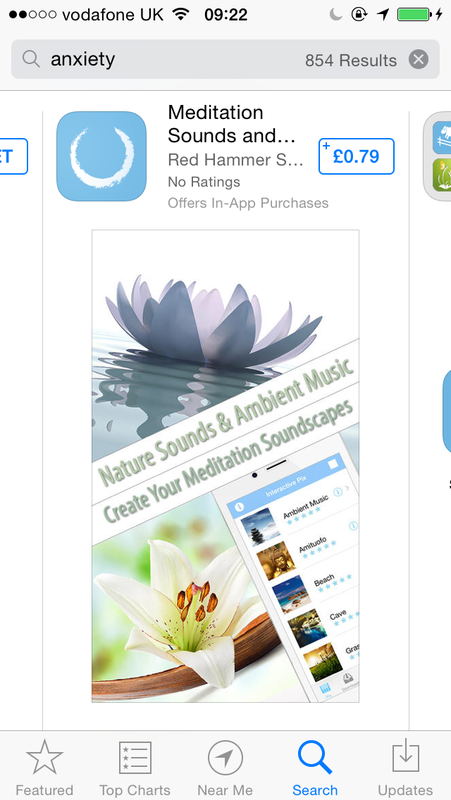 This app is great for anyone exploring meditation, as it offers a variety of different meditation sounds and calming music. This app can come in handy anytime you’re feeling anxious and you need to sooth your symptoms. These apps are just some examples of anxiety apps out there. On the iPhone app store, there are 864 anxiety related apps, so take your time to look through them to see which ones would suit you. We have our phones on us at most times, so we might as well use it to help sooth our anxiety. 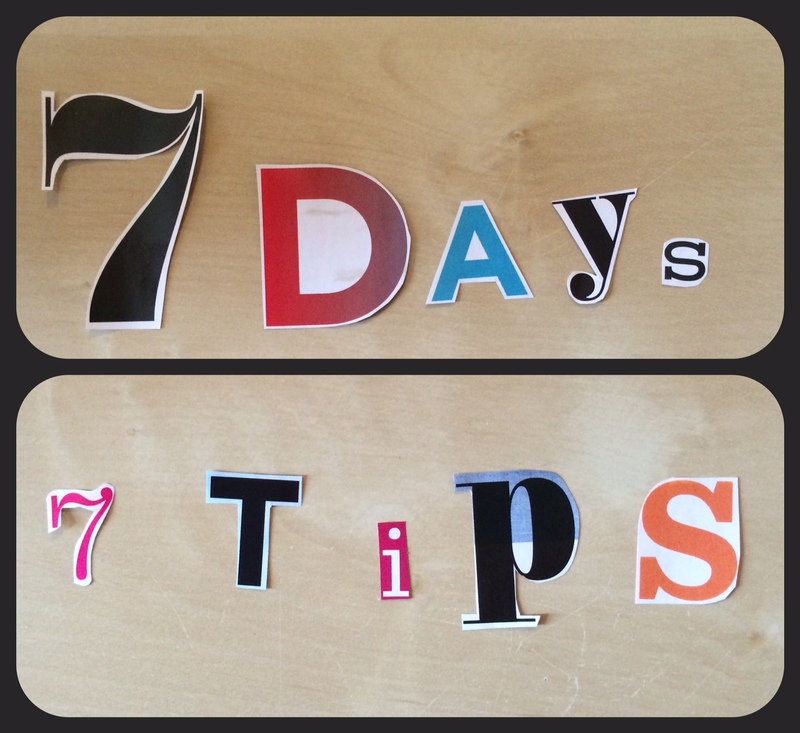 Have you found apps to be useful when battling your anxiety?